Disclosure: I received these products free from PersonalizationMall.com in return for my honest opinion. I love home decor and ever since we bought our house, I have been on the search for the perfect items to add to my collection. My husband and I recently re-did our living room which means new decor for me. I don't know about you but I like to decorate for the holidays, mainly Fall and Christmas and I have been slacking on my fall decor. 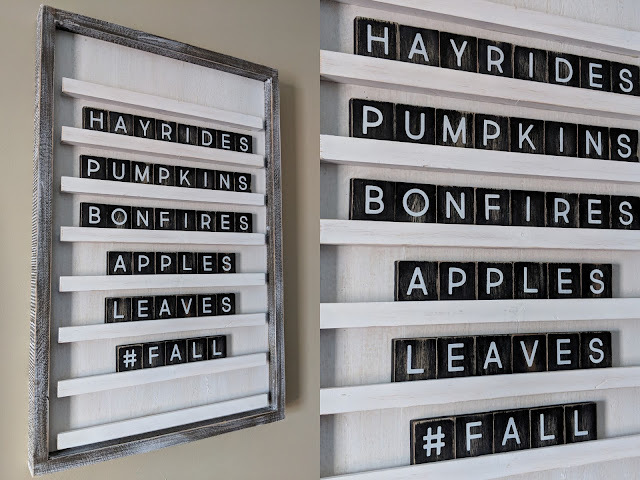 I made a few fall decorations last fall but it definitely wasn't enough. This fall I received these awesome products from the Personalization Mall. 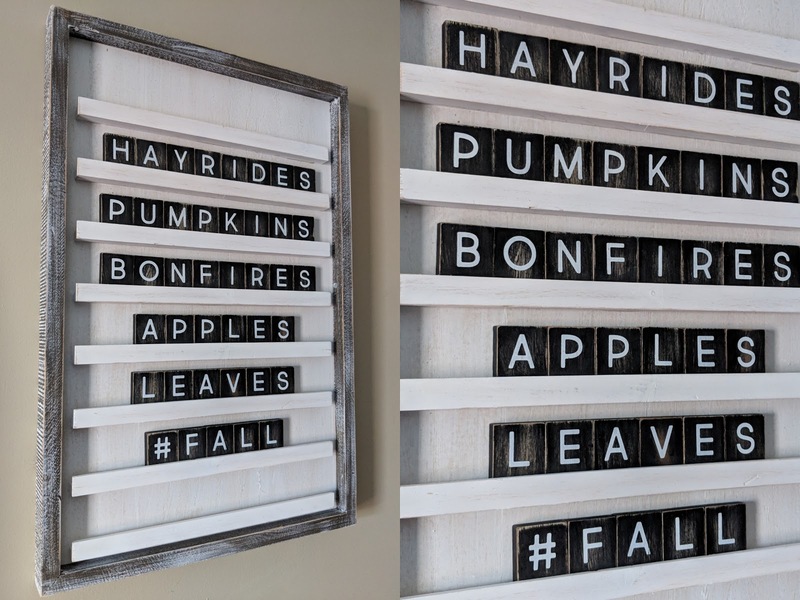 The best part about my new fall decor is that it is all personalized. Who doesn't love personalized items? I know I do! Personalized items make the best decor because they are personalized to match your home and your family. They also make great gifts for friends and family members because they are personalized from the heart, making them a one of a kind gift. The Personalization Mall specializes in personalized gifts. They have gifts and products for every occasion and I mean EVERY occasion. The best part is, if you buy a product from the Personalization Mall, you can personalize it for no extra charge. On top of that, the items ship in 1-2 days. 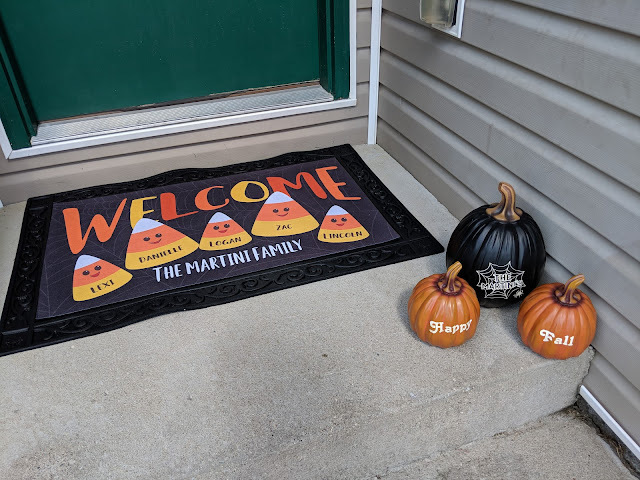 I was surprised at how fast my fall decorations arrived. Now that all that fun info is out of the way, welcome! This Welcome Door Mat is perfect for fall. It has a rustic wood background and a few fall leaves on it. This door mat is huge! It is the length of my front door which I love. I also love that it is interchangeable meaning if you buy the door mat tray, you can order several different door mats and change then out throughout the year to match the season. If you don't like the door mat tray you can buy just the door mat. The door mats come in a few different sizes, I believe this is the biggest size. The mat and tray are very heavy and thick so it should last a while! This 14" Pillow is great for decorating for fall. You can personalize the pillow with any saying you want and almost any color you want. 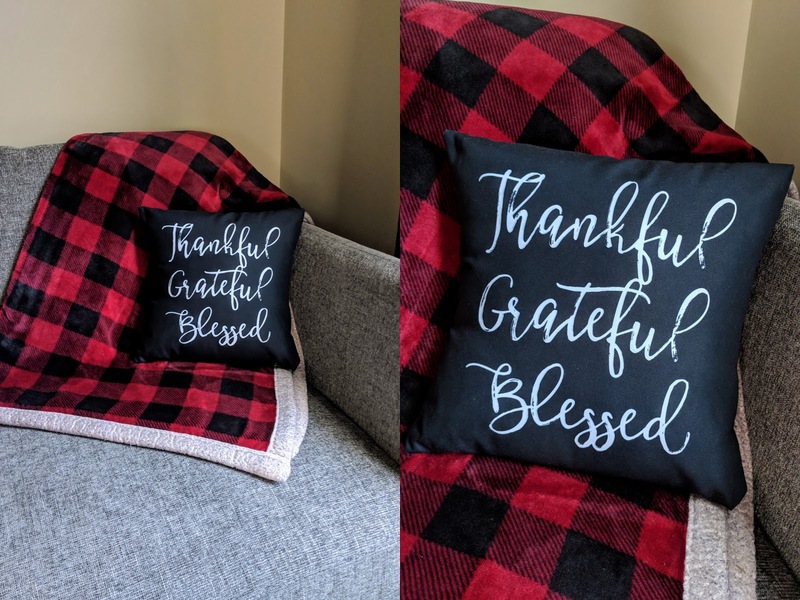 I stuck with the advertised saying, "Thankful Grateful Blessed" because I love the saying and want to be reminded of it this fall. The pillow is a perfect accent pillow for your couch, bed or reading chair. Pictured below, I pair the pillow with one of our fall blankets and couch. 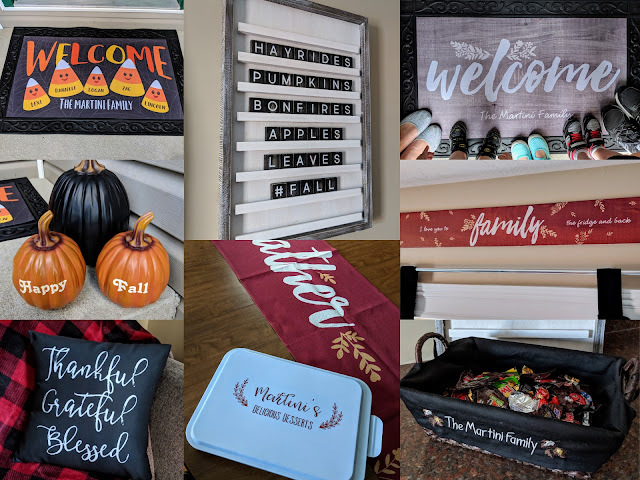 Most of the home decor I received, I used to transform my dining room and make it more fall feeling. Several of the decor items can be used several different ways. I chose the wood sign, table runner, pillow, cake pan, and Welcome door mat all from the same theme so the colors and fonts would match throughout my home, tying it all together. Below is a close up of the Table Runner. 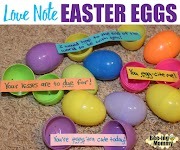 You can change the word in the middle and you can personalize the end with your family's name. You can also choose from a selection of different colors. I stuck to the red theme so everything matched and red felt more fall to me. 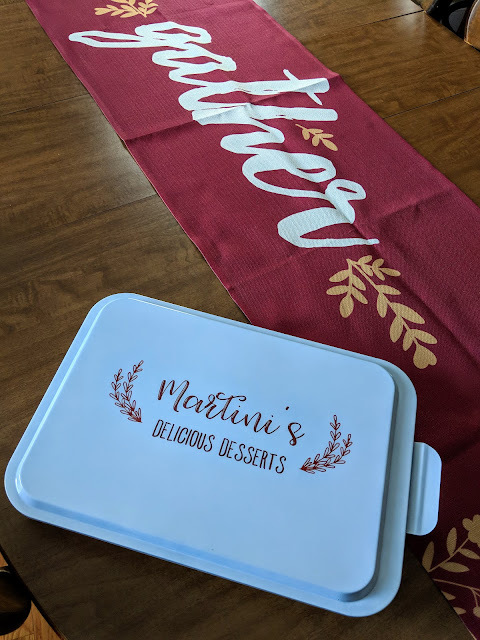 If you love dessert and personalized items then this personalized Cake Pan is right up your alley. This cake pan is perfect for baking your holiday desserts or casseroles in. It's lid locks on tight to keep your dessert fresh. The best part is that the cake pan is personalized so you will know exactly what pan is yours! You can personalize both lines on the cake pan to make it say whatever you want. This cake pan would also make a great gift for your loved ones! 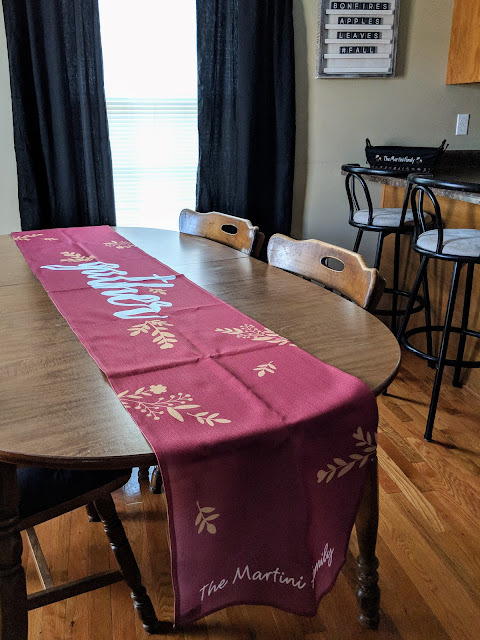 This Wood Sign matches the table runner perfect. 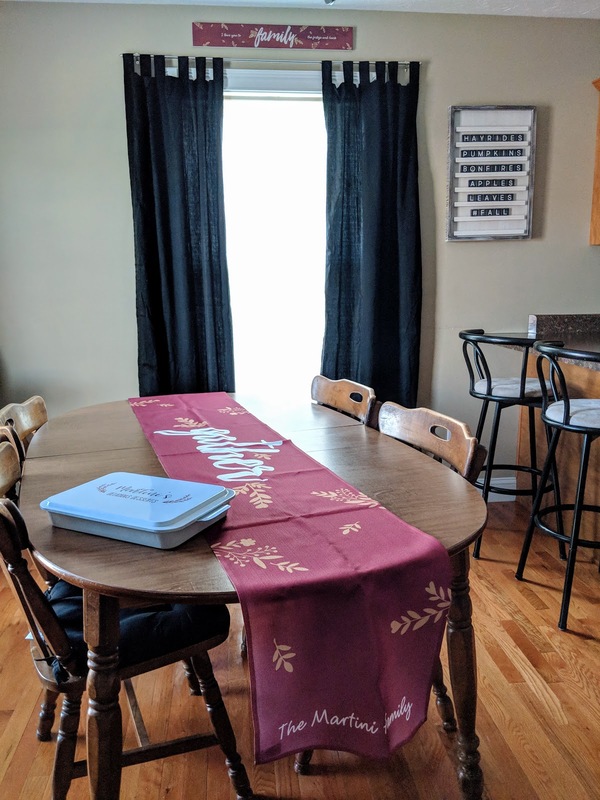 It is the same design and color as the table runner. The sign is a little smaller than I thought, but it looks adorable over our dining room table window. The sign is super lightweight and very easy to hang. You can change the word in the middle and you can personalize the small text with your family names, a saying like I did, an anniversary, etc. 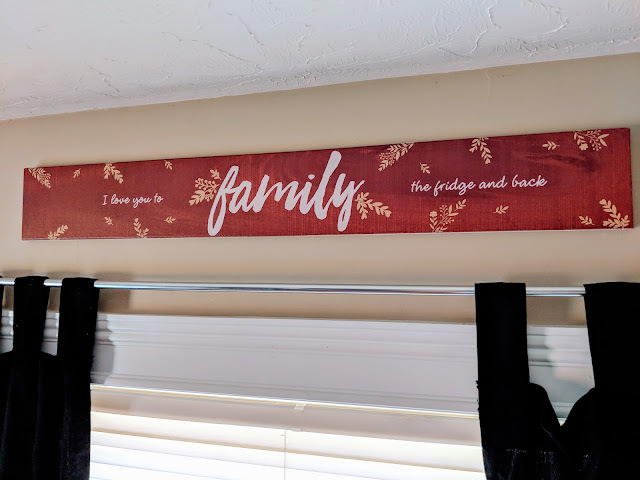 I chose the word Family and the saying, "I love you to the fridge and back" because the dining room is were our family comes together to bond over a nice meal plus who doesn't love their family and this saying? This Wood Letter Sign is one of my favorite items I received from the Personalization Mall. It is very sturdy and larger than I was expecting. You can hang the sign on the wall or prop it up against something. It comes with two nice bags to hold the letters and numbers in. You can personalize the sign with a note or saying of your choice with the interchangeable letters. 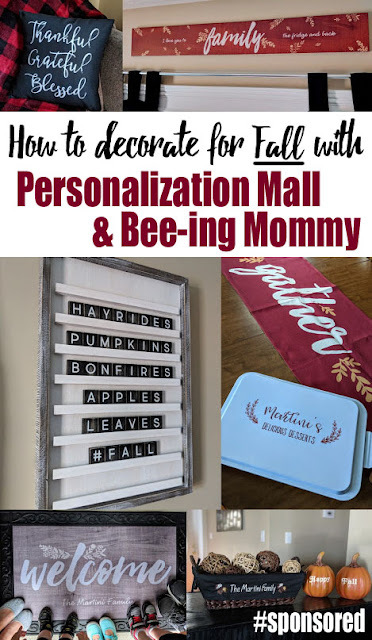 Below is a fun fall saying to help tie in all the lovely fall decor in my dining room. 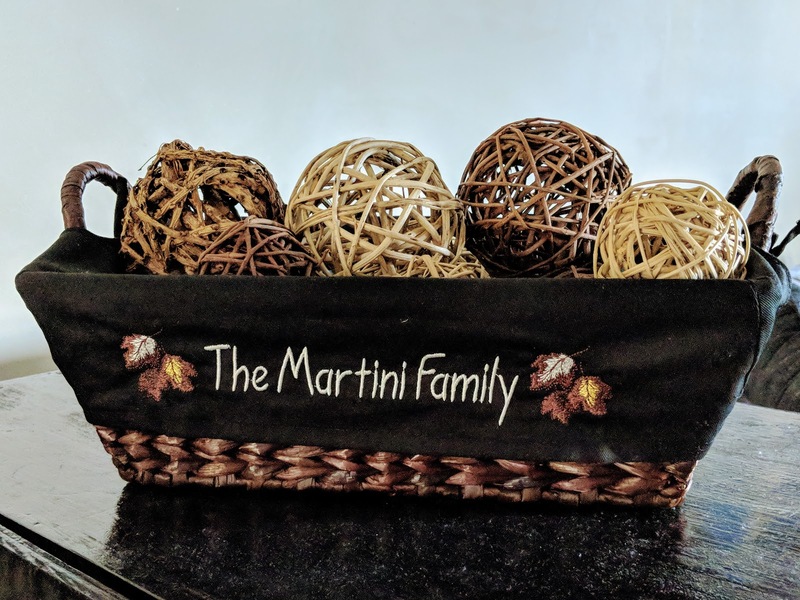 This Fall Leaf Wicker Basket is adorable and very versatile. Right now I am using it to hold some wooden balls I already had but I am hoping to eventually fill the basket with some pine cones and baby pumpkins. You can fill this basket with anything you want. You can use it as decor, fill it with candy for Halloween or fill it with rolls for Thanksgiving. You can personalize the saying on the basket, the thread color, the liner color, and the basket color. 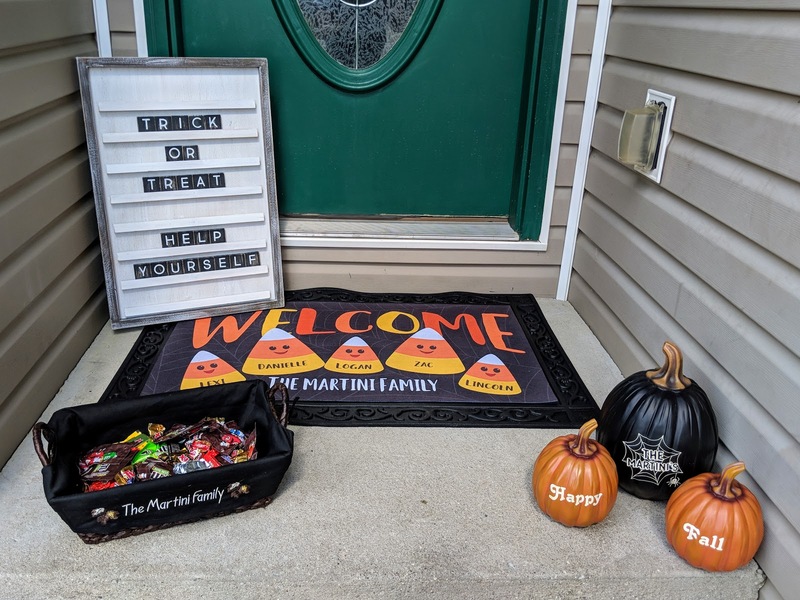 they even have Halloween designs you can choose from but I chose the fall leaves because I wanted it to tie into the other fall decor I chose. Now that you've taken a look inside my home at all this awesome home decor by the Personalization Mall, lets step back outside and see how I used the decor to decorate for Halloween. 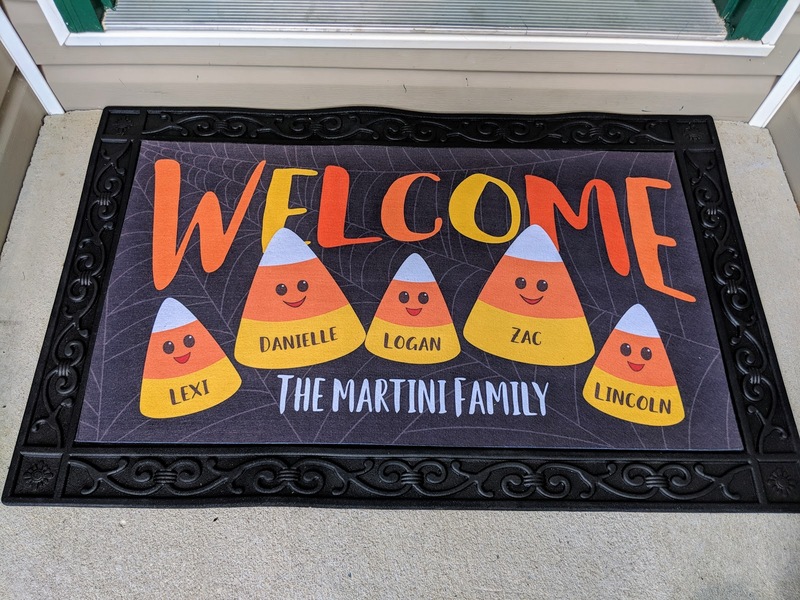 This personalized Candy Corn Door Mat is too cute to pass up! 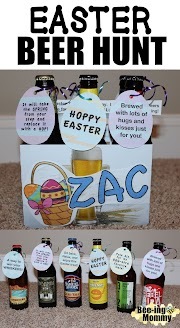 You can personalize it with your family names. 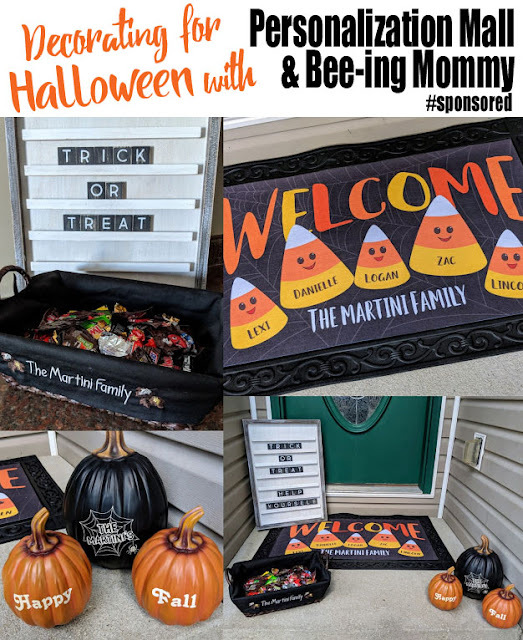 You can also get it to say Welcome, Trick or Treat or Happy Halloween. 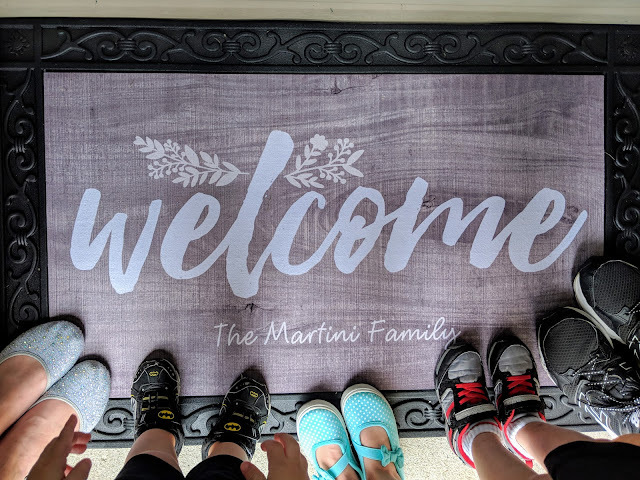 The best part is that it is interchangeable so I was easily able to change the Welcome mat pictured above to this mat. This is a Halloween must have! These pumpkins are very versatile. You can decorate inside or outside your home with them. You can personalize the pumpkins however you want from names to sayings. There are so many different designs you can choose from too. 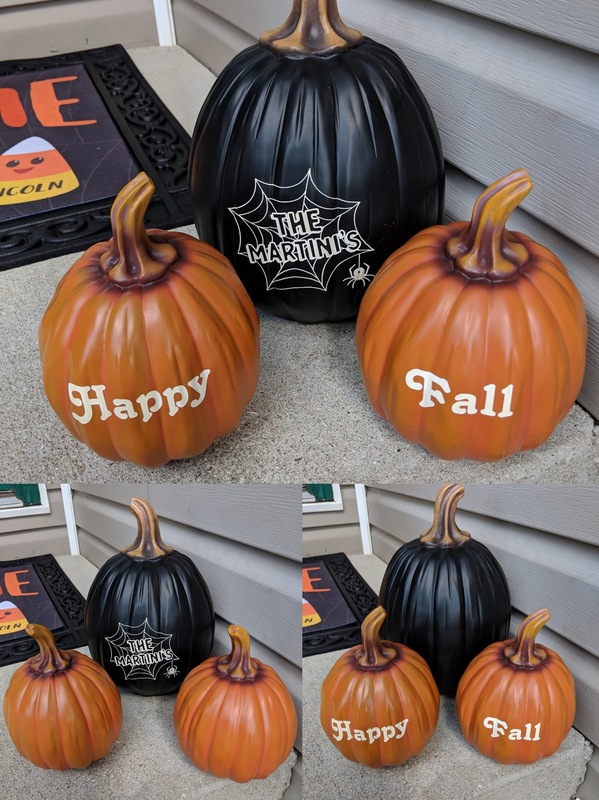 I chose two small Orange Pumpkins and personalized them with Happy Fall. I also chose a large Black Spider Pumpkin with our family name on it. Below are some different ways you can decorate with the pumpkins. Depending on the time of fall/holiday, you can rotate the pumpkins to see different words. Several of the Personalization Mall's decor items are very versatile. Versatile items are my favorite because you can uses them over and over again in more than one way. 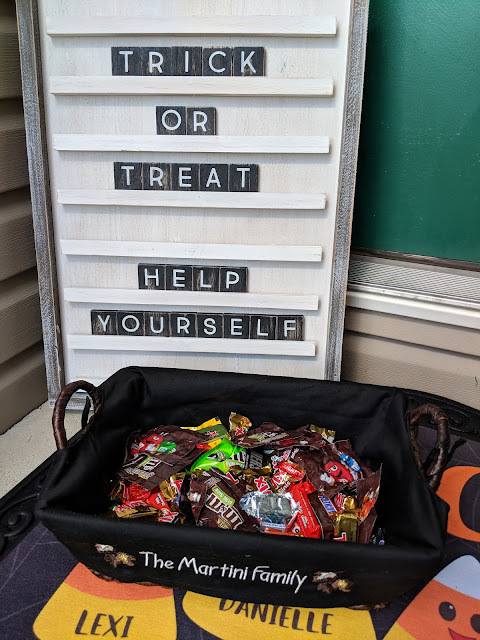 Here is a cute way to pass out candy for Halloween using the Wood Letter Sign and Fall Leaf Wicker Basket pictured above. The basket is perfect for passing out candy in and you can personalize the sign to say whatever you want! There are many things the Personalization Mall has to offer. Not only do they have adorable items for every occasion, but the quality of the items seems to be legit. I have received several compliments on the items I have received. You can find the items pictured along with several more fall decor items HERE. Don't forget the Personalization Mall always offers FREE personalization and they have fast 1-2 day shipping. I hope you enjoy your personalized items as much as I do. Go check out their website and let me know what your favorite item is in the comments below! I am on a mission to inspire parents to be more creative with their children. 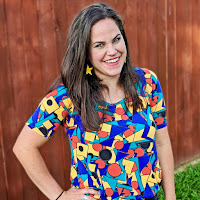 I love crafting, bargains, party planning and Bee-ing Mommy to my three toddlers!